Committing suicide these days, has become as fashionable for the youngsters as to fall in love. There are situations in which the youngsters take a stern step and for them it is a ‘trend’ to do so. Such situations that force the youngsters to take stern decisions collapsing themselves into other problems are shown by the students of IIS (Deemed to be University) Theatrical Society in their satirical Annual Play “Phool and Fools” staged on Saturday at India International School Auditorium. The play began with introducing two narrators, who in a very interesting way narrates the fantasy story. The narrator while telling the story to the audience, introduces the lead character of the story Rajkumar Astabhan and his best friend Mufatlal. As the play moves on, it shares a serious conversation between the prince and his friend. After failing in BA examinations three times, the upset prince decides to commit suicide and asks his friend Mufatlal to do all the preparations for his suicidal event. The prince asks Mufatlal to search for all the ideas of committing suicide and finally he agrees upon jumping off a cliff. At the cliff, the prince meets Rani Nagfani, who was also there to commit suicide as she is heartbroken and failed in love relationships six times. As the conversation between them begins, they fall for each other and decide to get married. The comical situations take place after their decision, formed rest of the story of the play. The play is based on “Nagfani Ki Kahani” penned by noted writer Harishankar Parsai highlighted the awful situation of the society in a hearted way. Described through situational comedy, the play was relished by the audience. Vivek Kumar has directed the play while Hardik Shah has designed it. According to the director, the play is based on Red Nose Clowning Form and the philosophy behind this form is finding something in nothing and conveying sense out of non-sense. This play was an outcome of 38 days of theatre workshop in which 43 artists were taught the spontaneity and the element of surprise in life as 43 different souls were transformed into energy on the stage. Mr. Vivek is an alumnus of National School of Drama and has been trained in Red Nose Clowning under Ashwath Bhatt. He has performed in more than 500 shows of wizcraft’s production “JHUMROO” at Kingdom of Dreams. Hardik Shah is a founder of Five Senses Theatre Group. Presently, he is directing a Web Series for Amazon Prime. Theatre Co-ordinator Dr. Aditi R. Khandelwal has contributed in giving the play a final shape. The defining quality of this entertaining show was its cast. The comic timing of Urvashi Bidawat as Astabhan and Divya Bhomia as Mufatlal is simply amazing. Priyal Mathur as Nagfani was very convincing in both the situations once when she was heartbroken and later when she fell in deep love with Astabhan. Mansi Agarwal and Surabhi Agawal tickled the funny bones of audience who played the role of Poet and Singer respectively while trying to pacify grieving Astabhan. Bandit Queen fame National Award Winner Theatre, Film and Television Actor Ms. Seema Biswas was the chief guest on the occasion. Ms. Biswas applauded the artists’ performance in the play and persuaded them to pursue acting as she had seen a great potential in them. Dr. Ashok Gupta, Vice-Chancellor of the university has congratulated everyone associated with this play for putting their heart and soul into it to make it successful. He also distributed participation certificates to the students. 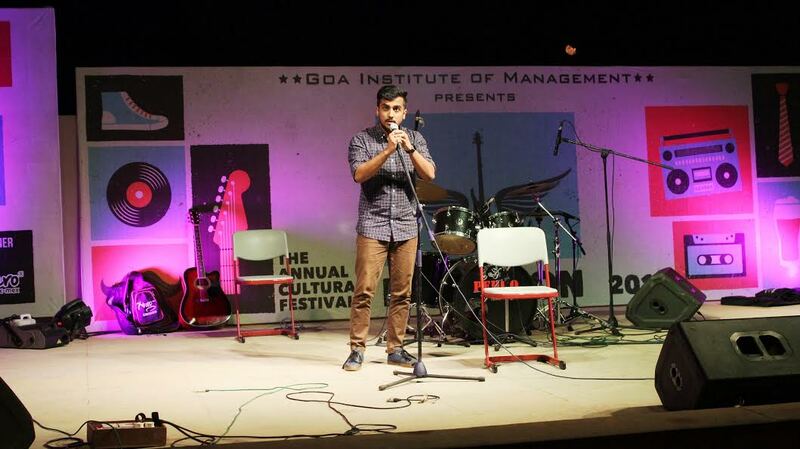 The annual cultural festival ‘Inception 2017’ concludes on a high at Goa Institute of Management The Goa Institute of Management (GIM), one of the premier B-schools in the country, recently organized ‘Inception 2017’. Starting as a small event in 2011 Inception has grown to be one of the best musical events there is across B- Schools in India. Over 5 years of its existence Inception had some of India’s most popular musicians playing at the campus. The star performers included Dill Vineet, Manmohan Raj, Welsey Aaron, Mohd. 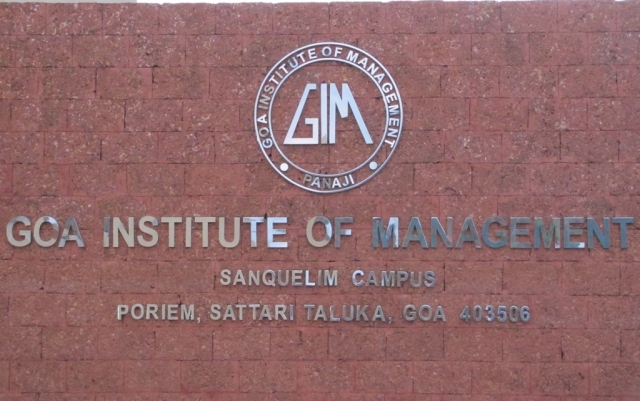 This weekend promises anentertaining fiesta as Goa Institute of Management (GIM) will host a magical musical evening, Inception 2017 at their college campus in Sanquelim. Inception 2017 has received participation from colleges across the country. Started in 2011 as a fun filled evening, Inception has grown in stature over 6 years of its existence and attracted exceptional music talent and established itself as an annual musical summit. 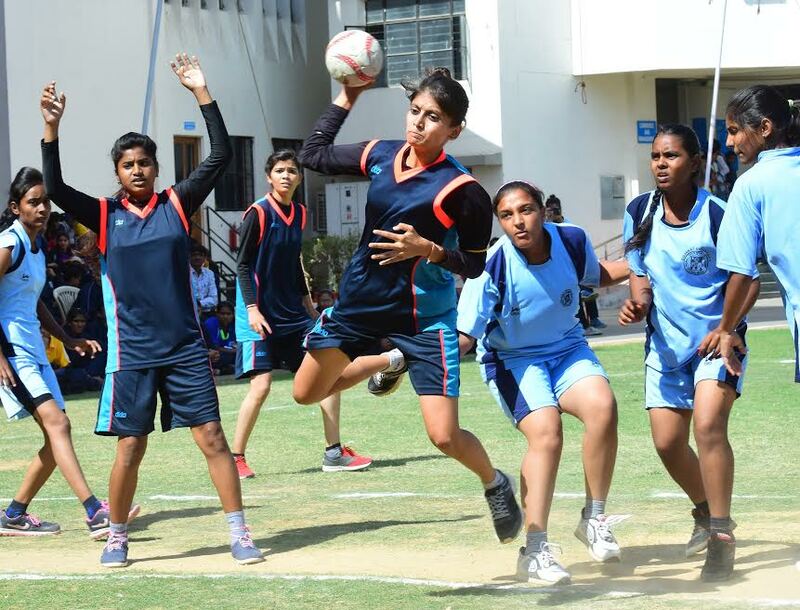 West Zone Inter University Handball (Women) Tournament 2016-17 organized by The IIS University, Jaipur in collaboration with Association of Indian Universities, New Delhi kicks off on Saturday. International Athlete, Padmashri, Shri Ram Singh was the chief guest in the inaugural ceremony. 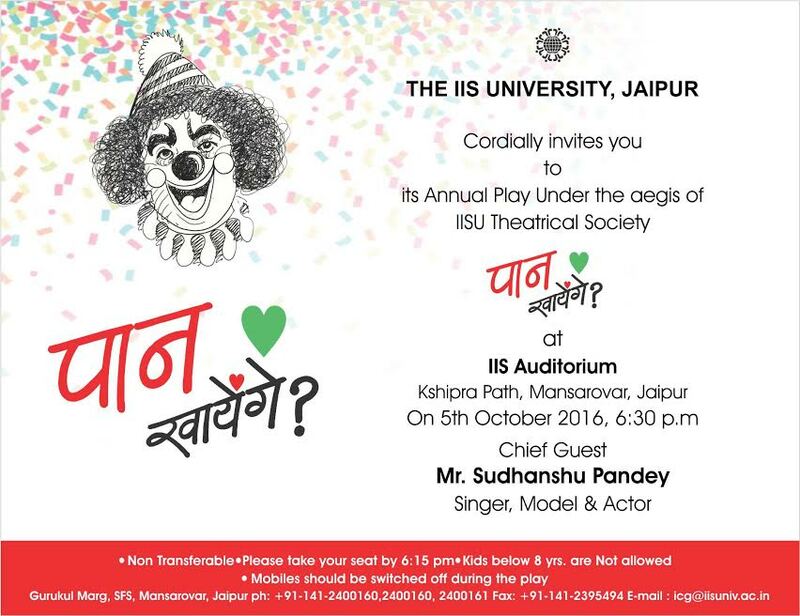 The IIS University’s Theatrical Society presents an annual play ‘Paan Khayenge’, which will be showcased at Kshipra Path situated India International School auditorium on Wednesday. Fifty-seven students of the university have taken part in the play. The play is the outcome of 35 days of hard work, dedication and devotion of all the members of the Dramatics Workshop conducted by the Theatrical Society of the university. Model, Bollywood Actor & Singer, Sudhanshu Pandey will be the Chief Guest on the occasion. The young generation needs to be taught soft skills along with other subjects because mere bookish knowledge is not going to land them in the career of their choice if they lack the basic behavioral skills. Attitude, team work, communication skills, public speaking skills are all important subjects which needs to be learned to enhance knowledge along with day to day study. This page was last modified on 3 October 2018 at 13:10.